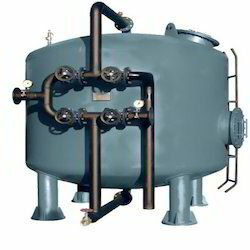 We are a leading Manufacturer of pressure sand filter from Chennai, India. We are involved in the design and manufacture of Pressure Sand Filter upto 30m3/hr. Please send us your requirement/specification to enable us provide a competitive quote. These products are appreciated for the key properties such as corrosion resistant finish, dimensional accuracy and long functional life. Looking for Pressure Sand Filter ?